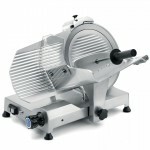 A commercial meat slicer is an essential kitchen appliance in any restaurant, delicatessen or catering facility. For more than 40 years Sirman has been manufacturing in Italy the finest slicing machines for the professional kitchen, deli, supermarket and retail industry. 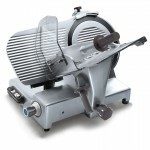 The range of Sirman meat slicers is very comprehensive. Sirman manufacture gravity feed slicers, flywheel slicers and vertical slicers. There is a model and price range to suit every kitchen application. Please contact us for specific models or requirements. 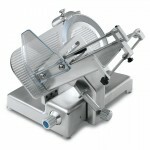 Sirman slicers are 100% designed and made in Padova, Italy.